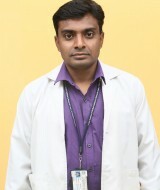 Completed AHA certified BLS, ACLS AND IABP programme in 2007 at Asian Heart Institute, Mumbai. I have completed both my graduation n from M. S Ramaiah Institute of Nursing Education and Research, Banglore and post graduation from Sridevi college of nursing, Tumkur. Best ICU incharge and best department manager at Asian Heart Institute, Mumbai.